First let's discuss why as a tester you need to access mobile from PC then we will discuss how to access mobile from PC using vysor, When you are doing mobile application testing, you need to hit long URLs, typing username and password or copy paste texts in the application. 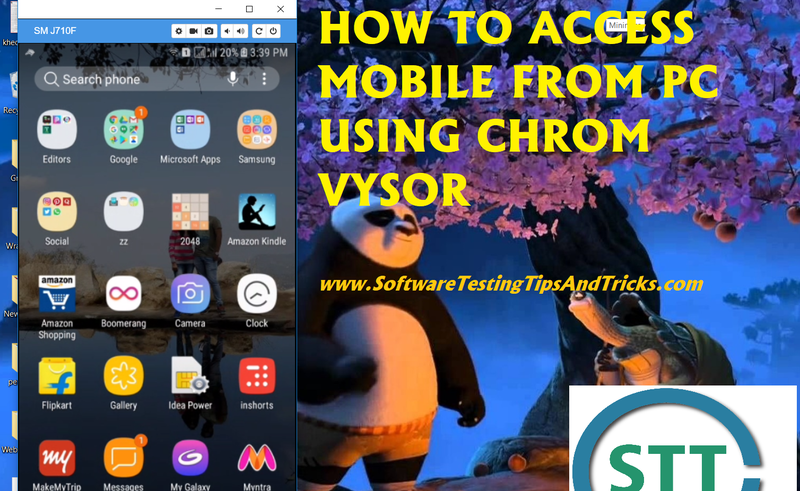 To do these, it's very boring job to type everything from mobile or you need to send texts , urls etc to mobile via chat or email and then you need to copy paste.Even when your mobile is in charging mode, you can access using pc. So accessing mobile from PC solves this problem. You can copy text from PC and can paste to mobile screen displaying on the PC. Even you can access mobile from PC screen, you can chat, access applications and much more. The best part is you do not need to install any software in the PC. You need to have adb setup. Most of mobile testers do have this. If you don't have Read How to setup ADB in windows ? 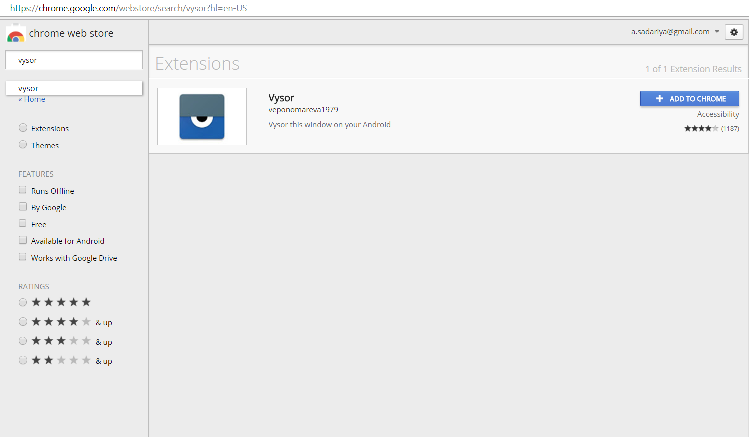 Open Google Chrome in PC. Click on view. 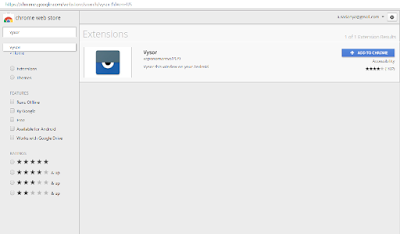 It will install one Vysor app on mobile automatically. That's it. You can view your device on the PC screen. You can use device on pc screen, can click, can swipe , type, copy paste.. If there is any doubt feel free to comment. Follow us on Facebook and Twitter.